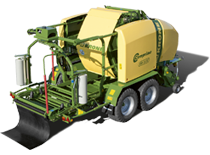 The AX 280 GD has a capacity of 28 cubic metres and has a range of features that will compliment any Farmers current practices. 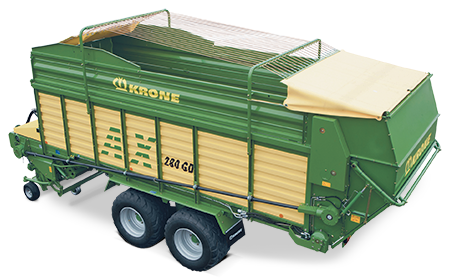 Heavy work loads matched with convenience of servicing is a trademark of Krone’s that you will find embedded in Krone’s range of wagons. Guide wheels at the rear of the pickup enhgance the overall running of the wagon. 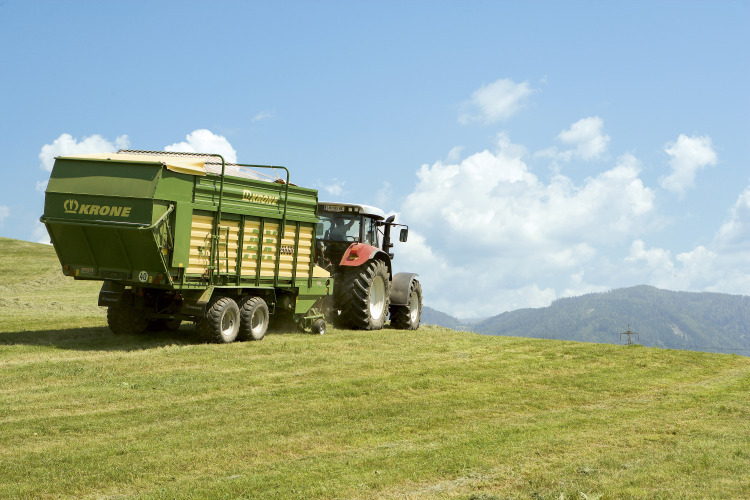 They help to ensure that the wagon does not runn in the tractor wheelings ensuring that optimal pick-up height is maintained. The pneumatic pivoting guide wheels provide great height control ans adabdability to suit all conditions. 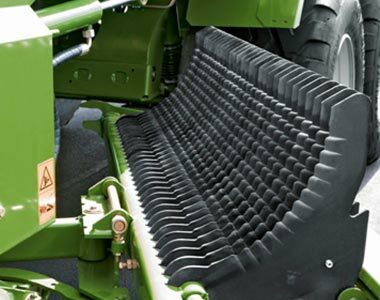 They eliminate the risk of scuffing and provide excellent turf protection. 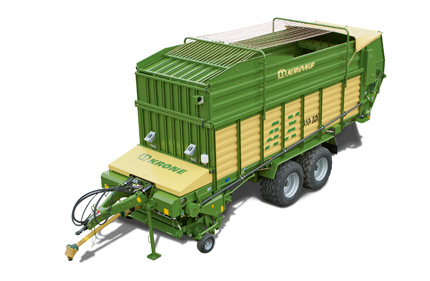 The large 760mm V shaped rotor ensures the smoothest of crop flow and most powerful of cuts. 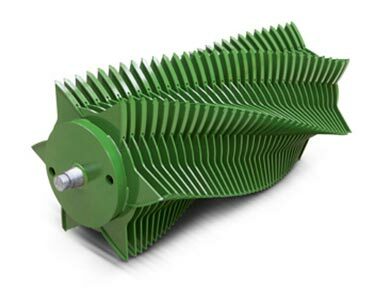 The 1½” thick drive chains are automatically lubricated to cope with the highest of loads and guarantees dependable operation limiting your downtime. Select between 0,16, or 32 knife sets in you wagon depending on desired chop length. 90mm for 16 knives and 45mm for 32 knives. 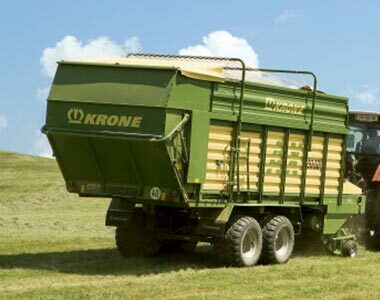 Equipped with a tandem axle on large 620/40 R22.5 tyres you can ensure the smoothest of rides that offer great stability especially in those hilly paddocks. 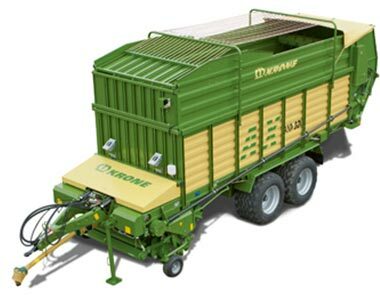 The large double rotor beaters allow for fast and easy unloading on the go. 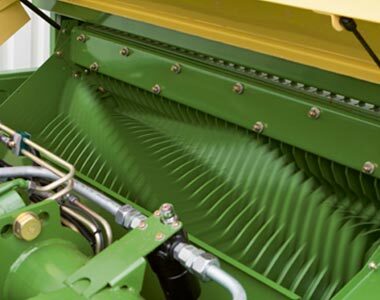 Rear beaters are protected by the main tractor PTO shaft clutch instead of an individual beater clutch, an optional third beater can be fitted.